Welcome to our snow globe - A place where snow seems to be always gently falling. 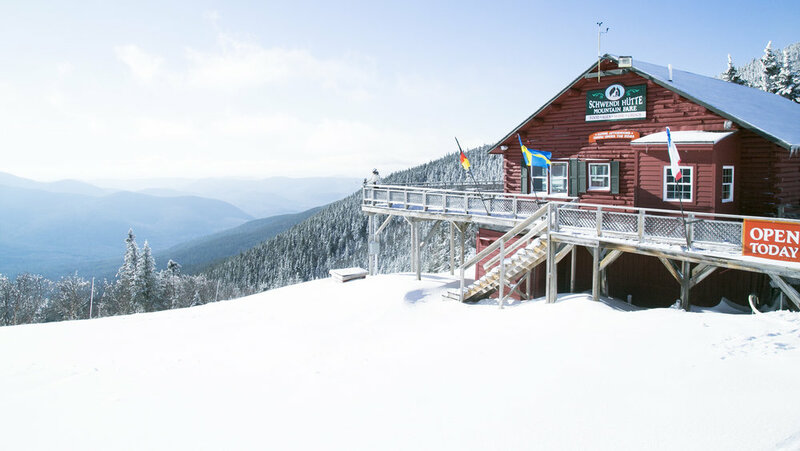 Nestled in the middle of the White Mountains National Forest, Waterville Valley makes for the perfect winter getaway, located just two hours north of Boston. While we’re a great destination for skiing and riding, we are more than just a mountain, so come stay with us the entire weekend and discover everything that Waterville Valley has to offer with our flexible ski & stay packages starting at just $71 per person, per night. Pack the car with warm clothes, ski gear, pile in the family and/or friends and head north. Arrive in time for dinner and enjoy a meal and drinks in Town Square. We have plenty of options to choose from, ranging from sports bars, Mexican, pizza, to upscale dining experiences. After dinner, get to bed early because tomorrow you’ll have a whole day of skiing and riding to look forward to. 6:30am: Alarm clock goes off. Hop out of bed, bundle up and get amped for some skiing and riding. 7:00am: Enjoy a hearty breakfast. There’s plenty of options to choose from right in Town Square from La Tasse, Waterville Mercantile Bakery, to a buffet at Mulligans. Make sure you fuel up right because you’ll be burning through calories on the slopes. 7:45am: Hop on the Schuss Bus, our official resort shuttle. It’ll bring you right to the base of the mountain. 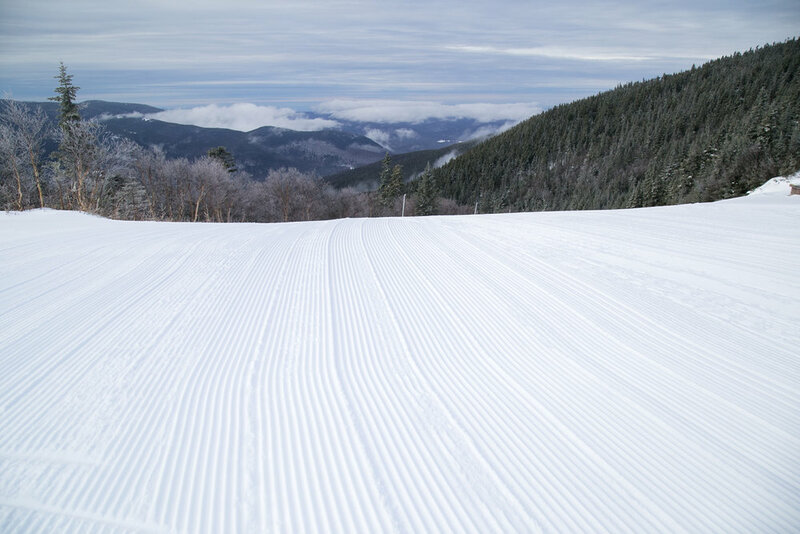 8:00am: First Tracks. There’s nothing quite like being the first person to carve through some corduroy. Warm up by enjoying rolling groomers on Tippecanoe and Old Tecumseh. Then check out the view from Oblivion. Once those legs are warmed up hit the steeps on True Grit and Lower Bobby’s or pop into the woods for some ski treeing in the Psyched Out and Sugar Shack Glades. 11:30am: By now you’re probably pretty hungry. Take a break for lunch before the rush hits. Enjoy the views from Schwendi Hutte while you refuel. 12:15pm: Spend the afternoon exploring the new trails on the completed Green Peak expansion. 3:45pm: After a long day on the mountain unwind with some live music and après at T-Bars. Every Saturday night we feature a different brewery and have a new musician. Check the event calendar for more info on who we’ll be hosting next. 6:00pm: Unwind by relaxing in the pool or hot tub at the White Mountain Athletic Club. 7:30pm: Grab some liberations at Waterville Valley Mercantile and bundle up to watch fireworks over Corcoran Pond. Prefer to be inside? You can still have a great view of the show while enjoying dinner from any of the restaurants in Town Square. Fireworks are every Saturday night beginning New Years Eve. 7:00am: Wake up early, get ready for the day, and fuel up with some breakfast. 8:30am: Head to the Adventure Center and choose either nordic, snowshoe, or fat biking. We have an extensive trail network for exploring, so choose your favorite mode of transportation and get after it. Don’t forget snacks. Stop into Waterville Valley Mercantile to load up with granola bars. 2:00pm: Enjoy a late lunch in Town Square before you have to head home for the work week. 3:00pm: Hop in the car with a full belly and smiles on your faces after a great weekend of adventure.